Here’s a tip we like to share–not really from us, but from families we see getting the most out of PLAY (Mid-Wilshire): When your child is ready, try pairing your PLAY music class with an art activity. 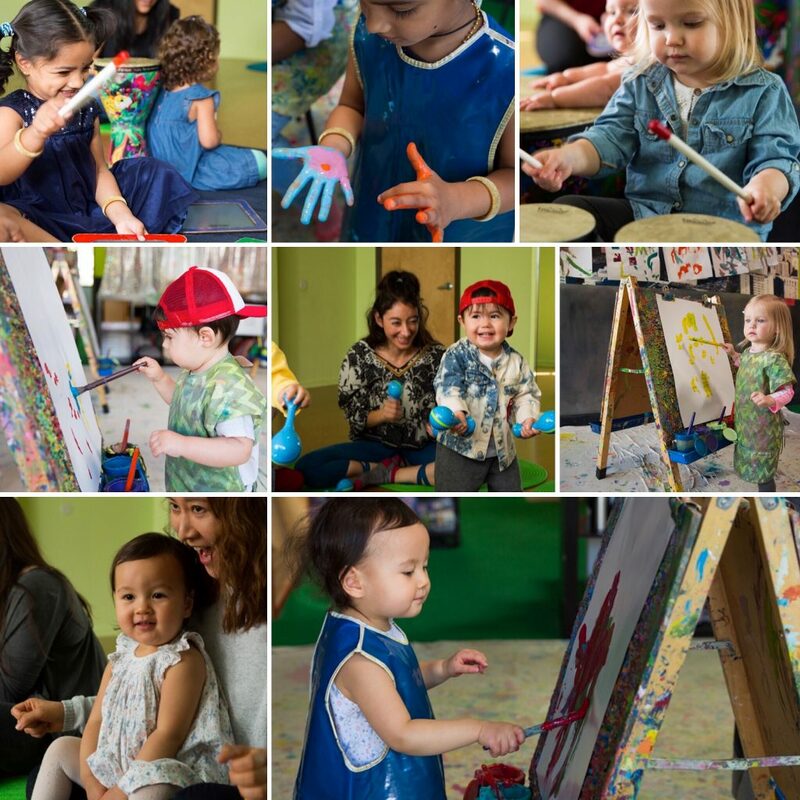 If you already take a PLAY music class, you can do this by simply taking advantage of your member discount on drop-in art (toddlers & up), either on the day of your music class, additional days, or both. When kids participate in two session-based activities on one day, they end up spending a weekly half-day at PLAY, dancing, singing, painting, snacking, and playing; they start feeling really at home in our space; and they have more opportunities for socialization with the same group of kids (and we think the grown-ups enjoy the socializing too). Besides being a fun, weekly play date with their grown-ups and friends, this experience can help prepare kids for preschool or be a looked-forward-to supplement to their preschool routines. These are just a few examples. If you would like us to talk you through all the possibilities, please give us a call or stop by the desk. You can also create your own combo days: Just visit the schedules for PLAY music, Messy Mixed Media, and drop-in art.